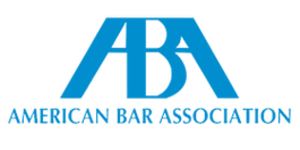 Recognizing that “[e]ven the best lawyers may err,” the ABA Standing Committee on Ethics and Professional Responsibility has issued a formal opinion addressing when a lawyer must inform a client or former client of a material error. See ABA Formal Op. No. 481 (Apr. 17, 2018). While the committee gets it right as to present clients, even the best committees may err when it comes to a lawyer’s obligation to disclose errors to former clients. Lawyer errors “occur along a continuum.” All errors, the committee notes, need not be disclosed. Rather, a lawyer need only disclose a “material” error. An error is “material” only if a “disinterested lawyer”1 would conclude that the error is “reasonably likely to harm or prejudice a client,” or if a reasonable client would “consider terminating the representation even in the absence of harm or prejudice.” See id. at 1-2. As to current clients, the opinion’s guidance is simple. Model Rule 1.4(a) requires a lawyer to communicate with the client in a reasonable matter.2 This communication obligation requires a lawyer to disclose to the lawyer’s client any material error.3 That’s it. A straightforward standard that adequately protects the interests of existing clients. No Duty to Disclose to Former Clients. Really? Nowhere does Model Rule 1.4 impose on lawyers a duty to communicate with former clients. The comments to Model Rule 1.4 are likewise focused on current clients and are silent with respect to communications with former clients. Id. at 7. Since Rule 1.4 does not apply to former clients, no “duty of disclosure exists under the Model Rules where the lawyer discovers after the termination of the attorney-client relationship that the lawyer made a material error in the former client’s representation.” Id. at 9. So much for former clients. In my view, however, a lawyer undoubtedly has residual fiduciary duties of loyalty, confidentiality, and communication to a former client. The residual duty of confidentiality generally prohibits a lawyer from disclosing and using information relating to the lawyer’s representation of a former client.4 This residual duty of confidentiality is nearly as robust after the lawyer-client relationship ends as it is during the relationship. The residual duty of loyalty that a lawyer owes to a former client is a lesser version of the duty of loyalty owed to a current client. Nevertheless, it exists. And it forbids a lawyer from taking up arms against the lawyer’s former client in the “same or substantially related matter.” See id. r. 1.9(a). First, the wording of the rule demonstrates that the error would have to be discovered while the client was a current client, thereby pushing any duty to disclose back into the current client communication regime. Second, Model Rule 1.16(d) is by its terms limited to actions that may be taken upon termination of the representation or soon thereafter; it cannot reasonably be construed to apply to material errors discovered months or years after termination of the representation. ABA Formal Op. 481 at p. 8. That reasoning is nonsense. Rule 1.16(d) does apply after termination and sometimes long after termination; its temporal scope is not limited to the moment of termination and “soon thereafter.” It requires a lawyer to “take steps to the extent reasonably practicable to protect the clients interests” whenever such steps are reasonable and practicable. See ABA Model Rule of Prof’l Conduct r. 1.16(d). The most obvious illustration of the rule’s longer-term obligation is its application to the file of a former client. If a former client demands her file even years later, the lawyer must turn it over. The lawyer can’t refuse the request by responding: “sorry, you didn’t ask at the moment of termination or soon thereafter.” The lawyer must turn over the file if it is reasonable and practicable to do so. Another illustration of the rule’s longer-term obligation is its application to important documents received by a lawyer post-representation. Suppose the lawyer receives a notice from the clerk of court that thousands of dollars of the client’s money is available for refund. May the lawyer toss the notice in the trash because it arrived after the moment of termination and not “soon thereafter”? No. The lawyer must inform the former client if it is reasonable and practicable to do so. [A]ssume that a lawyer prepared a contract for a client in 2015. The matter is concluded, the representation has ended, and the person for whom the contract was prepared is not a client of the lawyer or law firm in any other matter. In 2018, while using that agreement as a template to prepare an agreement for a different client, the lawyer discovers a material error in the agreement. ABA Formal Op. 481 at p. 2. The committee concluded that “the Model Rules do not require the lawyer to inform the former client of the error.” Id. A better-reasoned interpretation of Rule 1.16(d), however, would require the lawyer to evaluate whether it was “practicable”7 and “reasonable” to inform the client. This lawyer’s reasonableness analysis would involve a Carroll-Towing-like consideration of the significance of the past or future harm to the former client, the probability of rectifying or avoiding that harm through notification, and the burden on the lawyer associated with notification. If substantial future harm could be avoided or mitigated with minimal burden to the lawyer, it would be reasonable for the lawyer to notify the former client of the error in the contract and Rule 1.16(d) would require such notification. If no future good would come from notification, Rule 1.16(d) would not require it. The committee got it right in concluding that “[g]ood business and risk management reasons may exist for lawyers to inform former clients of their material errors when they can do so in time to avoid or mitigate any potential harm or prejudice to the former client.” See ABA Formal Op. 481 at 2. But it was wrong in advising that such notification is a “personal decision” left to the lawyer. It’s not. Rule 1.16(d) requires it, at least when notification is practicable and reasonable to prevent, mitigate or rectify substantial injury to the financial interests or property of the former client.